Look at the book store window. Jane Jensen (the woman who wrote and designed each Gabriel Knight game) can be seen. 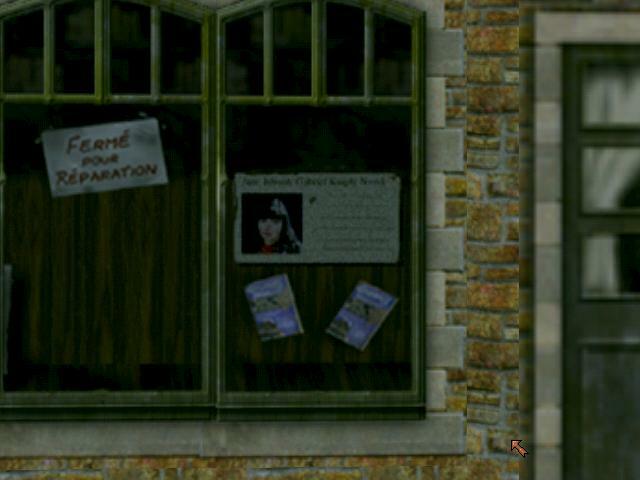 Also in the window is Gabriel's book he wrote about the Voodoo Murders. If you have Gabriel look at it he'll say "Wow, isn't he some famous author or something?"